Fortress Of Freedom Board :: View topic - Where is Julian Assange? Posted: Sat Mar 02, 2013 4:50 am Post subject: Where is Julian Assange? 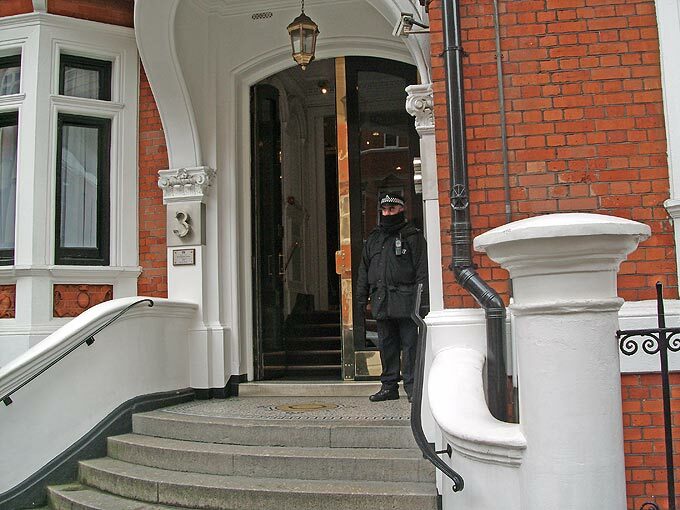 Assange as I had the opportunity to pass by his self imposed exile at the Ecuadorian Embassy in London England. The view of the embassy building beside Harrods! 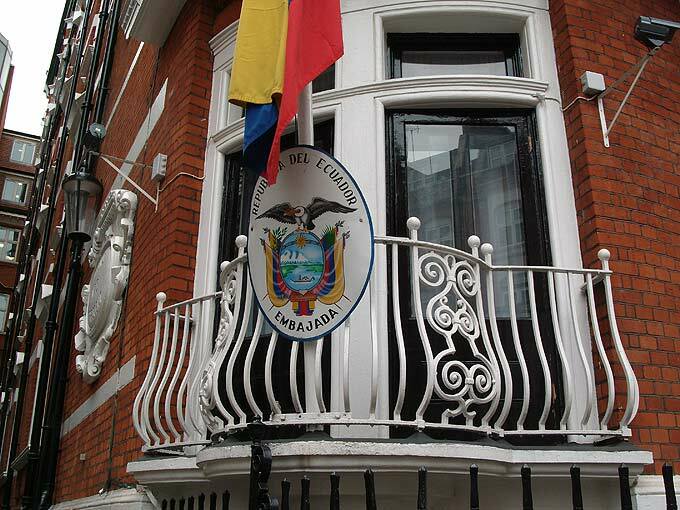 Now when I first arrived in London I really wanted to check out the embassy before we headed to France for a UNESCO event showcasing things like citizen journalism. In the end we did not have the time. But on my return the mood of going there had changed immensely. The front of the embassy building! What had changed was Bradley Manning's 35 page statement about why he did what he did that lead to the Wikileaks website posting the confidential information from Bradley Manning. 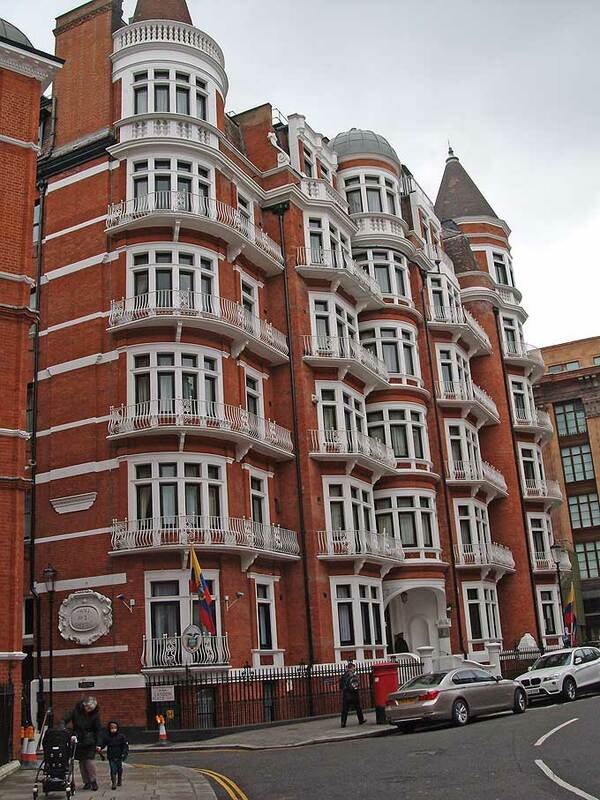 The balcony on which Julian Assange gave several speeches from! "I believe that if the general public ... had access to the information ... this could spark a domestic debate as to the role of the military and foreign policy in general,"
"I felt I accomplished something that would allow me to have a clear conscience,"
"This was the type of information... should become public,"
Note that much of what he said sounds strangely reminiscent of what Julian Assange would say, except that by pleading guilty to some lesser charges Manning now owns it all. Manning has been out of the spotlight of the media until now and in the span of a day or so has focused all that made Wikileaks popular back to the original source of the leaked files. More police around the outside of the embassy building! 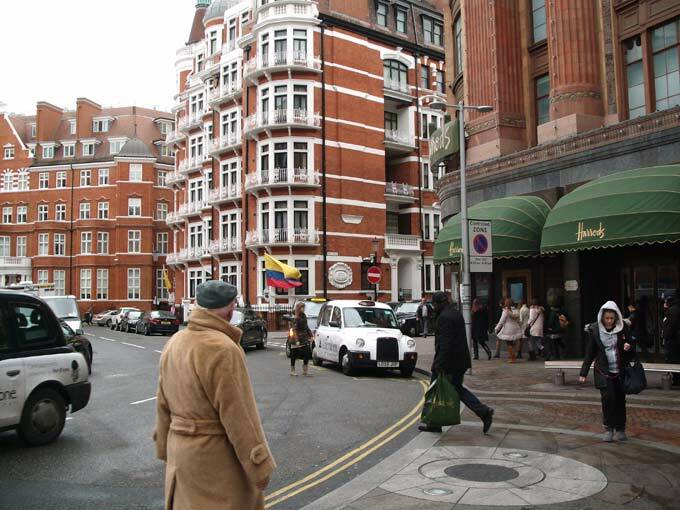 Anyway back to me walking past the Embassy next to Harrods department store (March 1, 2013). I had actually expected to see some activity at the embassy given the attention of the Manning case. A far shot of the building, each corner at the front is a different embassy! But I found nobody. Except one police officer at the door. 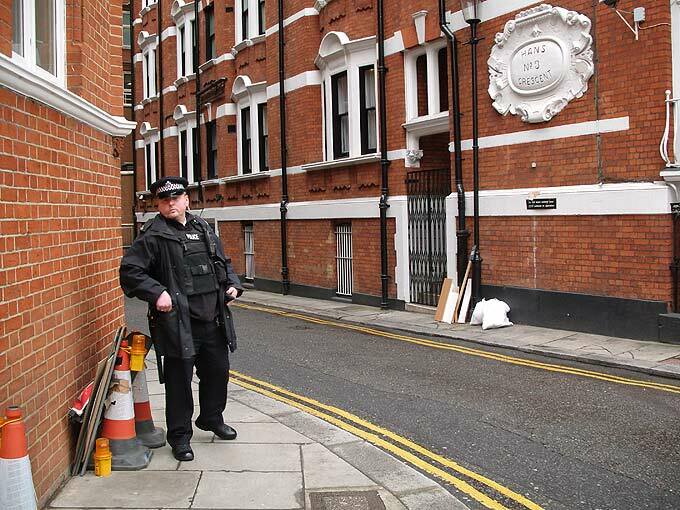 As I took some more photos another seemed to pop out of thin air in the alleyway of the embassy. Then a third showed up at the front door. You can see the police trailer parked across the lane from the embassy. No placards, no Guy Falkes masked supporters, no news crews. Nothing. What a change from a while ago. I just note what I saw on my way past there. I even looked at the garbage areas for some sign of a gathering or demonstration, just nothing. And that is what is so strange about modern day mass media. One day you are a hot topic and the next you are nobody. To the point were I really don't know how to end this article.